A trench coat is a simple investment every French Woman makes early on in her life. My Mother bought me my first trench coat when I got my first job. It’s a classic and long-lasting staple that has such a timeless appeal. It’s the perfect chic outwear piece for transitioning between seasons that goes with just about everything in your closet. Parisian women of all ages have adopted the trench coat look for years. It’s the wear-with-anything coat that can be worn over any casual or formal outfit. This fall, I’m loving this faux suede trench coat from Forever21. The material is so smooth that you can also wear it as a duster and the fit is perfect. Under $50 this is a great buy and a must-have to any chic wardrobe! 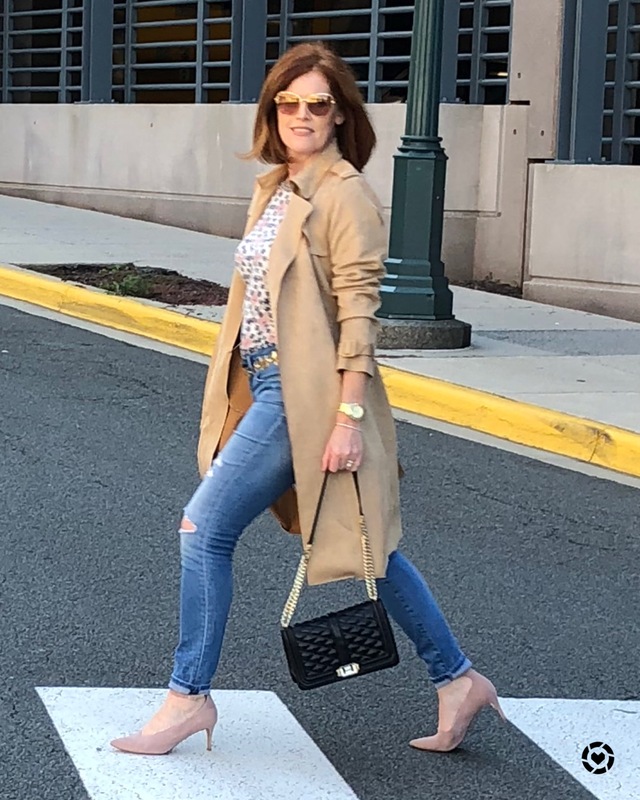 I’ve linked a few other chic styles on my LIKETOKNOW.IT profile including a faux-suede coat from Burberry, the original and iconic trench coat brand. Love a trench! Thanks for sharing the how tod. Thanks for sharing this stunning look at the Top of the World Style linkup party. I adore your style. It reminds me of my time living in France. I have a faux suède one too! I would love to buy a real Burberry one day! You look very classy. Beautiful styling! Thanks for the ideas! I am all about a good trench coat. I finally found the perfect one and it is such a classic. I love how you styled it with the flats and that striped top! 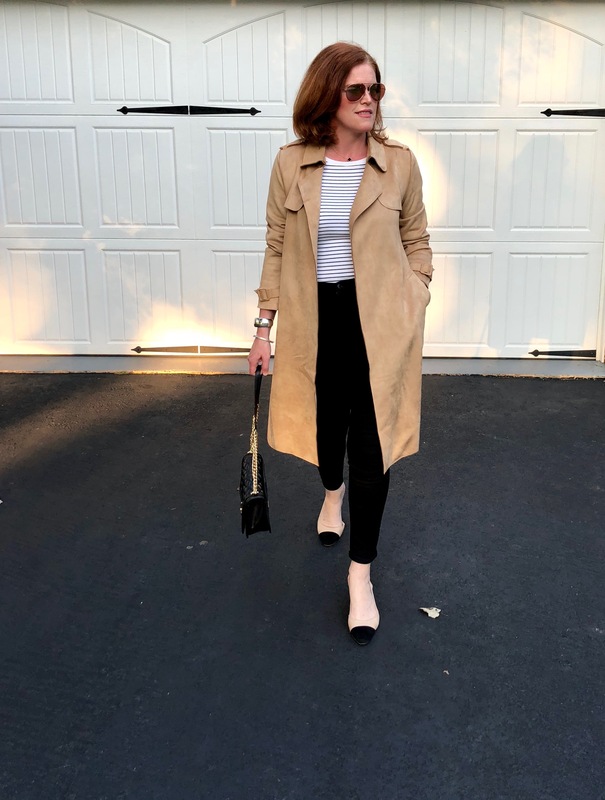 A trench coat especially in a classic khaki/tan color like yours is a must-have and a staple in every woman’s closet, not just French (in my opinion). You styled yours in such a timeless way and I just love those colorblocked pumps so much! This looks so stylish ! 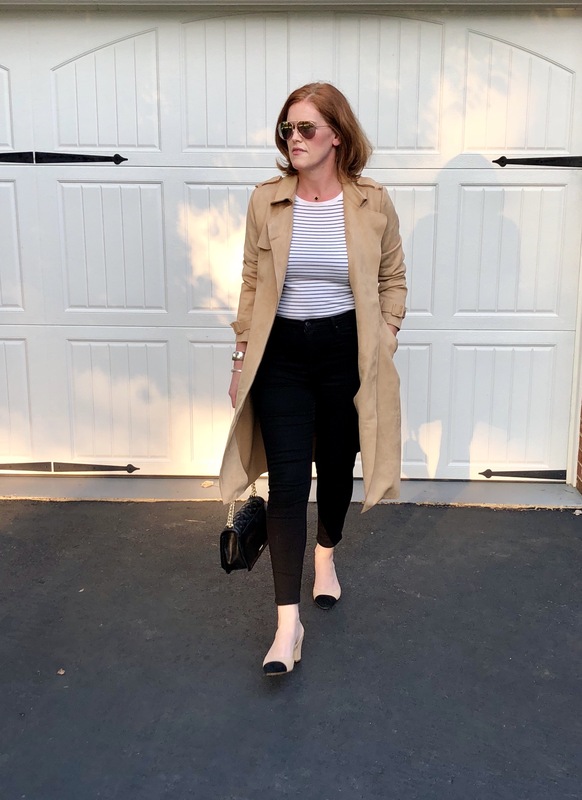 I love your suede style trench with your outfits and how you recommended styling. It is a classic and love the striped top and those pretty pink pumps with the look, lovely! Love the look! 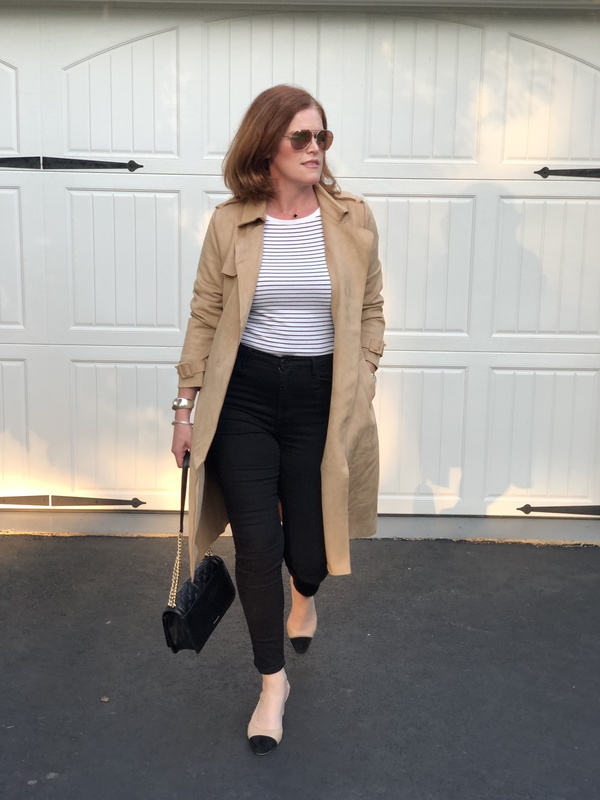 A trench coat never goes out of style!